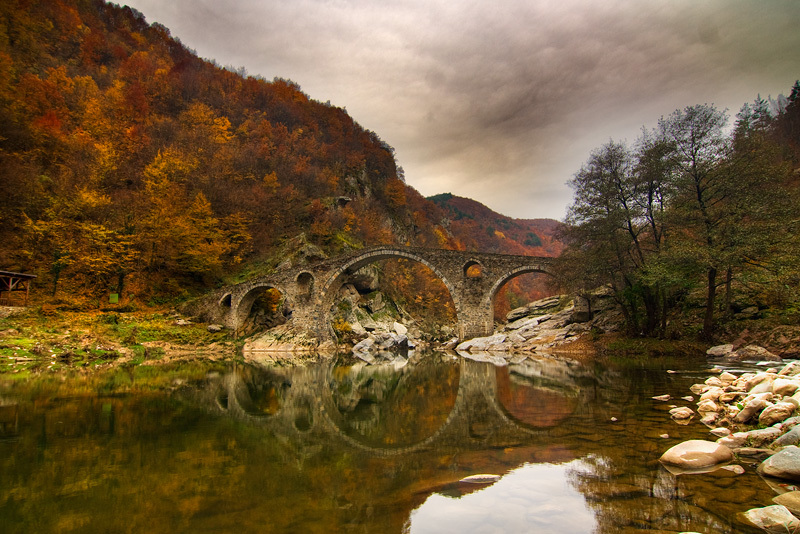 The Devil’s Bridge over the Arda river is one of the most picturesque bridges in Bulgaria (spelled Дяволски мост or Dyavolski most in Bulgarian). It is located in a scenic valley near the villages of Dyadovtsi and Latinka in Southern Bulgaria, a must for your Rhodope Mountains route. The bridge is 420 meters high locked in a gorge surrounded by steep mountains. It is 56 meters long, 3.5 meters wide and it consists of 3 beautiful arcs. 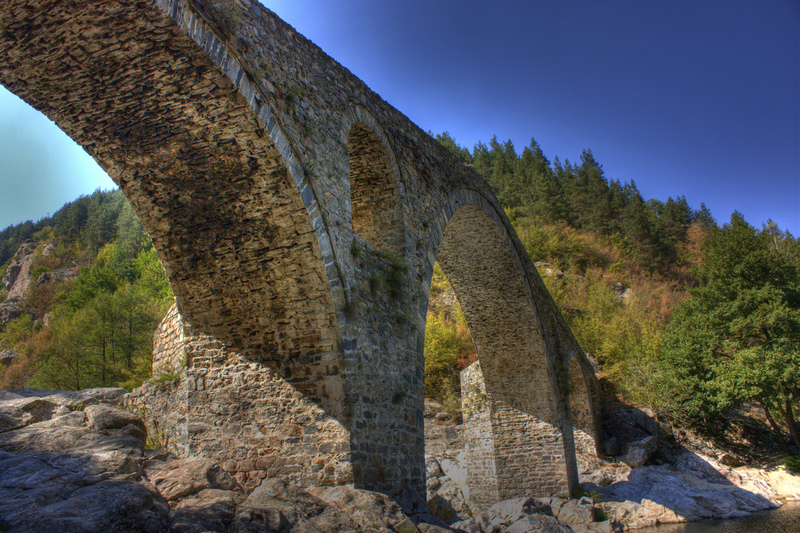 The bridge was built in the beginning of the 16th century when such huge dimensions were not a common sight. It still strikes visitors as an impressive Medieval structure. Back then, Bulgaria was still under the rule of the Ottoman Empire. However, Selim I, the sultan at that time, wanted to connect the southern Bulgarian lands with the Aegean Sea. This was a strategic move owing to the land’s abundance of natural resources. The sultan wanted to boost the empire’s production and trading market. The legend behind the name tells the story of a Bulgarian girl who was running away from the Ottoman governors. When she crossed over the bridge, the persecutors thought they saw the Devil in the water underneath and they did not dare to go on. The girl was set free. There’s picnic area nearby, so you can relax and admire the view. There’s no public transportation so you’ll have to rent a car. There’s a road all the way to the bridge. 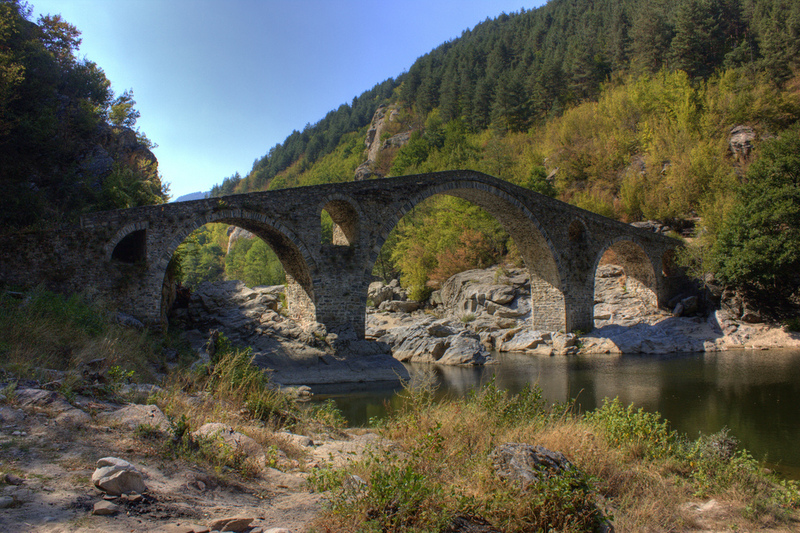 The Devil’s Bridge is some 300 km from Sofia but save at least 5 hours for driving as a big part of the route is mountainous. Hey Bob, I encourage you to go visit the bridge! It’s a beautiful country out there!